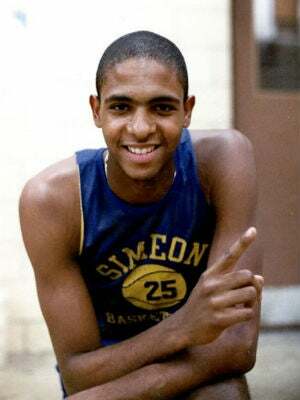 The Chicago Sun-Times' Mary Mitchell checks in on ESPN's profile of Benjamin Wilson, the Simeon High School basketball star who was shot to death in 1984, sending shockwaves across the nation. Many of us know the story of how Wilson was gunned down on the street, a couple of blocks from the South Side high school, by two gang-bangers who had tried to rob him. In "Benji," Coodie Simmons and Chike Ozah, the film's directors, cast a shadow of doubt over that version of the tragedy. The documentary includes a riveting interview with Billy Moore, who was 17 when he shot Wilson. Moore served 19 years of his 40-year sentence and now works for an agency that helps ex-offenders re-integrate into the community. Not interviewed was Omar Dixon, who was 16 at the time. Dixon was paroled after serving half of his 30-year sentence, but in 2007, he was convicted of armed robbery and is serving a 40-year term. The documentary is compelling, and it highlights why 10,000 people showed up at a memorial service to mourn Wilson's death. But "Benji" also raises disturbing questions. Moore related details about that tragic day that shed a different light on the tragedy. He denied the shooting had anything to do with gangs or robbery, as prosecutors claimed. He also claimed Dixon had nothing to do with the shooting. Read Mary Mitchell's entire piece at the Chicago Sun-Times.